Sometimes the only way to resolve or assess a particular problem is to make an onsite visit. your particular problem quickly and efficiently. Every onsite service is unique, but we have the ability and experience to get your equipment back up and running in no time. Your PC Pitstop technician loves a challenge and they’ll always try their best to book you an onsite visit straight away, the very same day. And with pickup and drop off services available too, they’ll go out of our way to make your day! Following these tips will increase the likelihood of success for your equipment repair. Contact our team of experts. PC Pitstop accommodates everyone – from businesses to home users who may require a technician to their door. 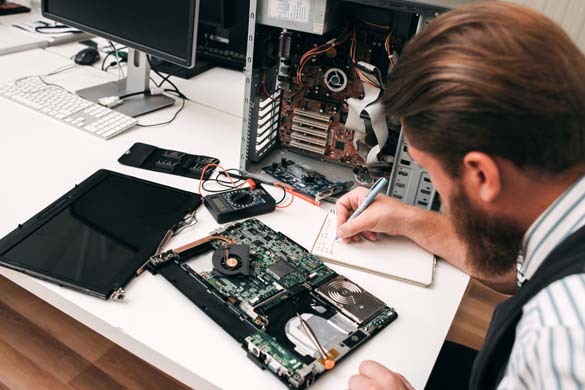 Your PC Pitstop Trained Technician will usually be out the door within the hour – so it’s less interruption to your day. PC Pitstop have Technicians on the road every single business weekday. Port Macquarie, Wauchope and the Camden Haven. Very popular for critical business environments and troubleshooting unique onsite issues.